We offer two membership plans to best suit your needs! Group practice discounts are available. Send an email to support@advekit.com if you're interested in signing up as a group. Log in with your information below. Why are therapists joining the Advekit Community? Check out what Advekit users are saying, here. Our algorithm aligns you with individuals who are searching within your specialty. No more being lost amongst the masses of directory services. We display your profile alongside only two other colleagues. 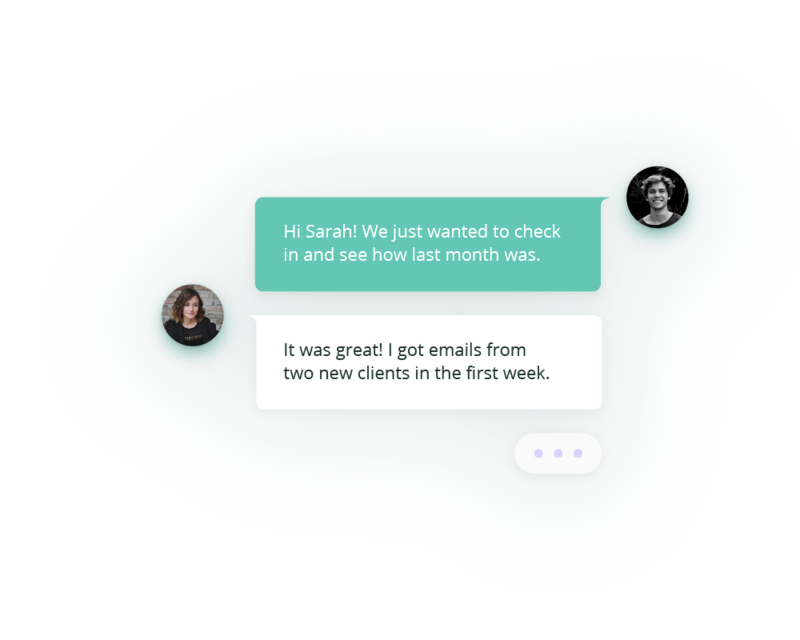 Our mission is to make mental health more accessible to every individual, which is why we’ve partnered with businesses in your area and have encouraged their employees to use Advekit! We provide you with analytics! 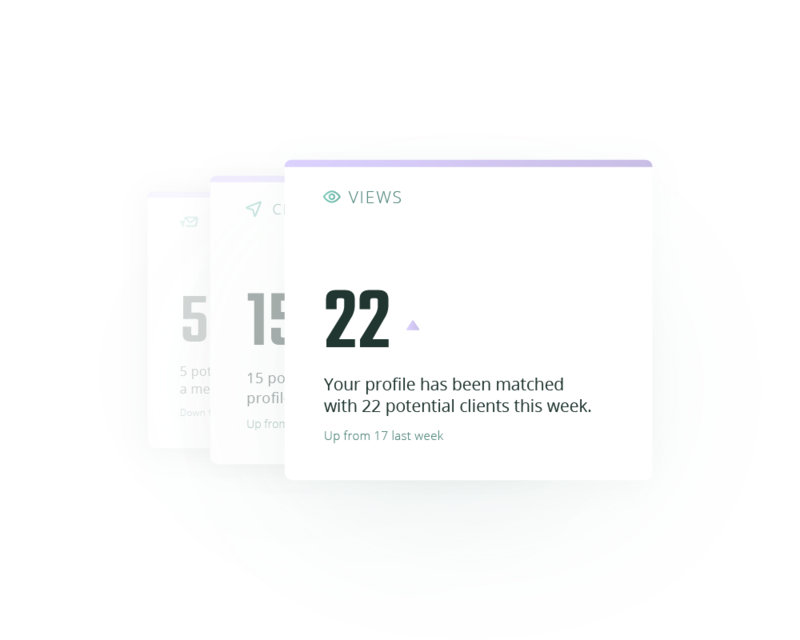 We will share how often your profile is being shown and how often you're getting individual clicks! We will be in touch with you each month to hear your feedback and make sure you're satisfied. Los Angeles, Orange County, San Diego and Nor Cal therapists! If you are looking to find a marriage counselor or therapist in Orange County, San Diego, Northern California or Los Angeles, look no further! 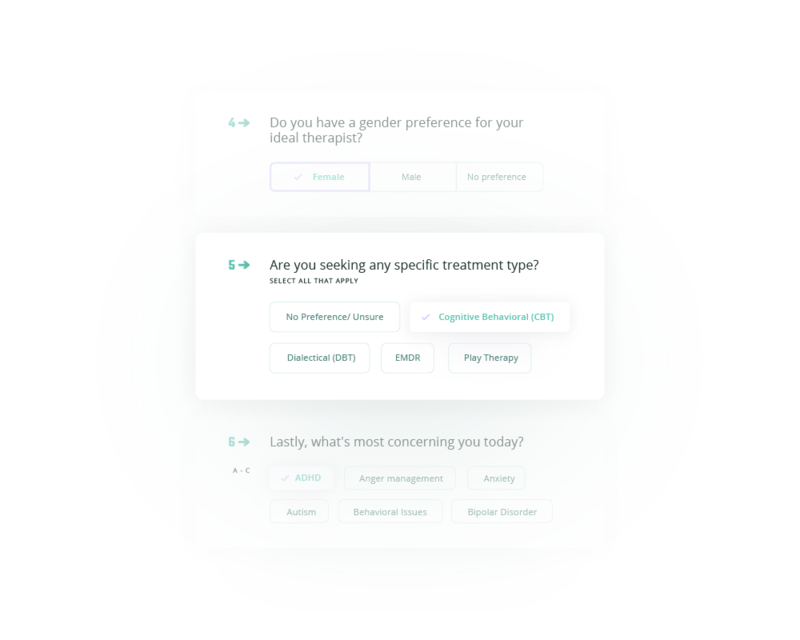 Advekit is not like a typical counseling directory or therapist locator in that we limit the number of suggested therapists to the best 3 for you. Advekit is an easy-to-use, accessible online portal designed to act as a therapist locator and matchmaker for patients. Individuals use the simple online form to outline their requirements, and we then provide tailored recommendations and contact details for therapists in our database. The aim is to make it easier for people to find the therapist that’s right for them and to make it easier for individual therapists to connect with potential clients. Whether someone wants to find a marriage counselor, seek advice about addiction or behavioral problems, or talk through family or relationship troubles, we want to support people in finding the therapist that best meets their unique individual needs. We ask people searching whether they want in-person, telephone or video therapy sessions, as well as other questions such as gender preference of therapist, how far they are willing to travel, who their insurance provider is, and how much they are looking to pay per session. Once we have all the necessary details, we match their needs against therapists registered in our database. Unlike a typical counseling directory or therapist locator, we limit the number of suggested therapists to no more than three. 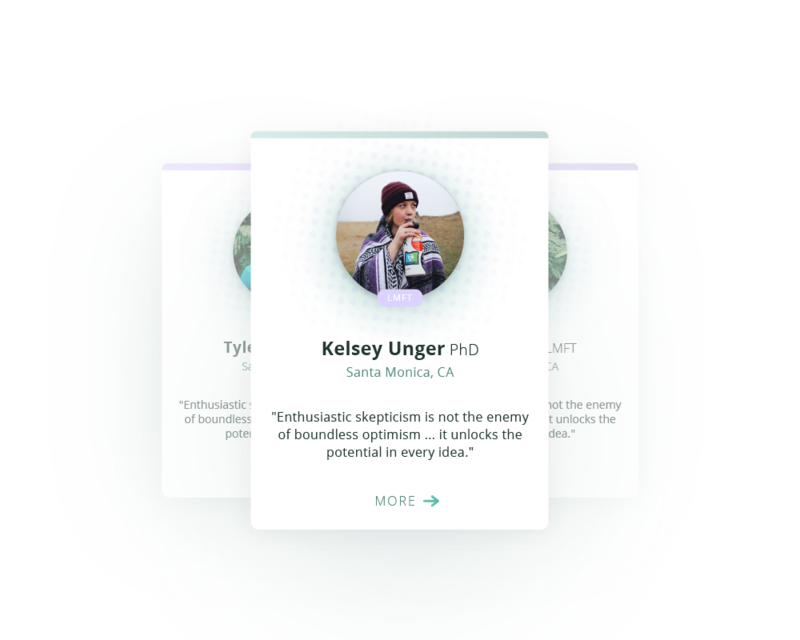 For the individual, this has the advantage of narrowing down what might otherwise be an overwhelming experience, while for therapists this helps to limit the competition on any given search.